We are a global community of individuals and businesses who are courageous enough to have raw conversations, live a deeper truth, and generate ripples of love and healing in everything we do. Together, we are on our mission to heal the world from the inside out. It is our intention to use our voices, collaborate, inspire, incite ideas and develop action plans for sustainable change. We live in a world filled with unbearable pain. Too often this pain manifests as fear and separation. And out of that fear is born the violence, bigotry and destruction we witness on a daily basis. We seek answers, but frequently further the problem by assigning blame, taking sides and casting judgement. We look everywhere except within our own hearts. One person has the ability to affect millions through her or his actions, thoughts, words and beliefs. It is how we show up in the world that dictates whether we send out ripples of destruction or healing, fear or love. When our individual healing ripples come together, we create a tidal wave of impact. In times of uncertainty, it is vital to build more authentic leaders who emphasize transparency, vulnerability, and empathy as the foundation of trust and empowerment. When individuals, organizations and businesses come together to solve specific social problems with aligned values and mission, we have the opportunity to create a more powerful collective impact. There is strength in numbers. 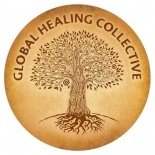 Building global community-based healing collectives offers expanded reach, increased innovation, and elevated awareness to support those seeking to thrive both individually and professionally. Dreamers, doers, creatives, change agents, kickass warriors, boundary expanders, explorers, adventurers, innovators, healers, legend makers, storytellers, and passion ignitors. And if you think that isn’t you, think again! 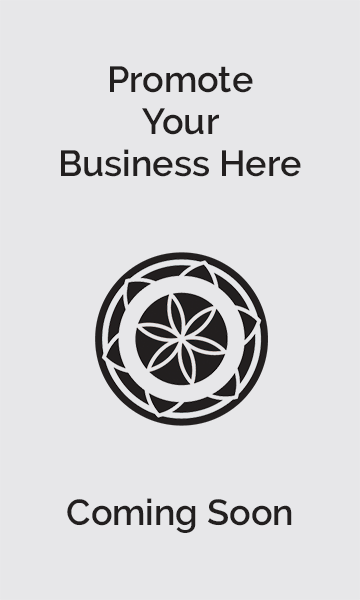 If you enjoy our shop and we align with your values, please click the Love Button in our profile or write a review to spread the word to the Mindful Market community. The more love you share, the more our community will grow and thrive! We believe the world needs a more proactive approach to healing and sustainable change so we created 11 guiding principles to align individuals across all races, socio-economic backgrounds, and cultures. The WALKFEST event will embody the organization’s core value of individual, community, organizational, and planetary healing. Inspirational speakers and powerful activators along with interactive panels and experiential breakout sessions will motivate attendees to courageously speak their truth, build community, take action, and inspire sustainable change. Through the power of the ripple, we will create a unified voice that can begin to bring light to the hurting world. Join us for an unforgettable 3-day-event September 14-16, 2018 in a beautiful Colorado Rocky Mountain sanctuary. This event will be filled with love, truth-telling, inspiration, and activating solutions for change. Together we will create possibility and a path to greater healing. In addition to the impact of our events and other initiatives WALKFEST creates solutions for individuals, communities, organizations and our planet through a commitment to collaboration. We are committed to expanding our healing revolution beyond this organization by supporting others who are also doing amazing things in the world. We stand with and support other groups and projects that align with our mission and that need our assistance. There is power in numbers!! We are a platform for change! WALKFEST will collaborate with the Unstoppable Foundation, a nonprofit humanitarian organization bringing sustainable education to children in developing countries, as its first spotlight partner. A portion of all WALKFEST Event 2018 ticket proceeds will contribute to the foundation’s Olmusereji, “Sponsor a Village” community, where construction has begun on the first schoolhouse. Together we will fund a package for a village which supports the construction of a schoolhouse plus the necessary tools to implement the 5 pillars crucial to lifting communities out of poverty. Each of the 5 pillars is designed to be owned and maintained by the community and self-sustained within 5 years after project implementation. Trailhead Films creates compelling video content for purpose-driven organizations and institutions. Founders Dave Butz and Dana Garrett have decades of experience in news and documentary production and now use their collective talents to tell stories that help raise awareness and support for important causes. We are proud to partner with WALKFEST and support its mission to bring hope and healing to our hurting world. Soul Sparkle crafts and curates magical, moving experiences for women around the world that bottle up and light on fire all things that bring you back to your own soul and the sparkle within. We’re welcoming in a new paradigm of women that truly support each other. TRUE support. Like the kind of sisterhood that we have been craving our whole lives. The kind where you know with certainty that you are seen. You are known. You are loved. Where there is nothing but love and joy when you share your good news and support when your heart is heavy. Do you have women in your life that support your dreams and your deepest hearts desire? I want you to have the opportunity to surround yourself with incredible women that want only what is in your highest and best, love. A place that you can speak your dreams out loud and allow us to hold the space and intention for you, and to share the visions of what you see for other sisters so that they may be able to step into the highest version of themselves as well. A million women serving a million women. WE ALL HAVE STORIES OF COURAGE. But, with rare exception, we hide them. We judge ourselves and deem our stories unworthy. They’re either too small, too meaningless or prideful and vast. So, instead of sharing, we keep them to ourselves. Tucked away for no one else to see. Problem is, when we bury our stories, we bury our souls. Doing this denies us the expression and connection that comes from sharing the moments that define our power. And, it denies others the gift of knowing they’re not alone, and the hope that something better is possible. And that is why the Courage Collective was created to help you share your stories of courage and in so doing help others to move beyond their fears and live their most courageous lives! The Courage Collective is a global movement where together we are facing 1 million fears, sharing 1 million stories of courage and raising $1 million for charities. NOW THAT’S TURNING COLLECTIVE COURAGE INTO GLOBAL POWER AND IMPACT. In 2010, Reshma Thakkar, Founder of Made with a Purpose, met six warm and loving women who were sewing uniforms for the children of Sandipani Muni School in Vrindavan, India. These women had been working out of a classroom converted into a sewing center for years doing freelance work to make ends meet. It didn’t take long for Reshma to fall in love with these women and partner with them to build the foundation of Made with a Purpose. Made with a Purpose creates beautiful handmade bags and accessories. Each purchase helps to provide a stable, suitable source of income for our women, and empowers them to provide improved quality of life for their families. Be a part of the healing revolution. We would love to connect! What's questionable with the business?